Spiraea (Spiraea spp. ): growing, planting, caring. Lovely flowers in umbels ! Scientific name : Spiraea spp. Spiraea is a genus of about 80 to 100 species in the family Rosaceae, native to the temperate Northern Hemisphere, Species of the genus are are hardy, deciduous-leaved shrubs, with simple leaves arranged in a spiralling, alternate fashion, usually lanceolate - narrowly oval - and about 2.5 to 10 cm (0.98 to 3.94 in) long, and many small white, pink, or reddish flowers clustered together in inflorescences. Many species of Spiraea are used as ornamental plants in temperate climates, particularly for their showy bloom - some do bloom in the spring, others in midsummer. Deciduous or semi-evergreen shrubs with whole leaves, toothed, alternate, and flowering white, pink or yellow in umbels, panicles, cymes or terminal corymbs. The flowers measure less than one cm in spring or summer. Spiraea japonica, in particular, blooms in summer! 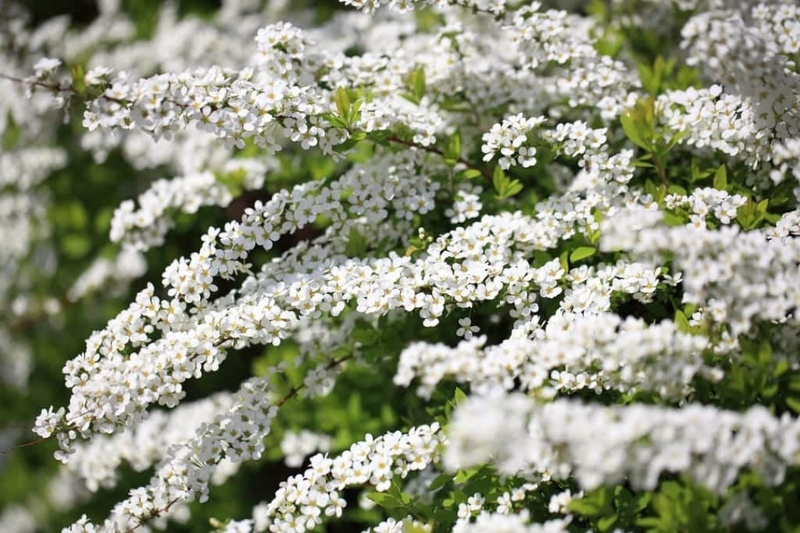 Plant the spirea in autumn or spring, out of frost, in a cool, rich and well-drained soil, in the sun. Some Japanese spirea with a compact or creeping habit are used as ground cover, while others plant in free hedges, in massive or isolated. Space your spirea by half their adult height. Spirea flowers on the wood of the year, Spirea x billardii and Spirea douglasii are pruned in November-December, each year, pruning low the whole plant on a few branches at the base. For those blooming on the old wood, prune after flowering, removing the twigs, and cut at the base 1/5 of twigs every 2/3 years. Mulch the base of your spirea once a year, in the month of November with some crushed bark or wood.